Fred Stuart was the Executive & Artistic Director of The Haymarket Theatre in Lincoln, NE, which he founded in 2002. 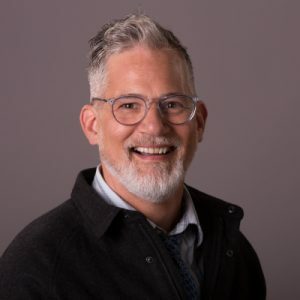 Fred has directed scores of shows with adults and young people alike, for theatres across the U.S. From 1997 to 2001, he worked as Project Manager for the Broadway Junior Program, for Music Theatre International (MTI). His responsibilities included overseeing workshop productions, writing and editing production manuals and director’s guides. Fred spent ten years as a performing artist in San Francisco and Los Angeles, having appeared for two years in San Francisco’s longest running show, Beach Blanket Babylon. His administrative career in the theatre business began with the Nederlander Organization’s West Coast operation, where he worked in a variety of FOH jobs, rising to House Manager of the legendary Pantages Theatre at Hollywood & Vine.